Morocco challenges North America with 2026 World Cup bid - The Maghreb Times ! Morocco will challenge a joint North American bid for right to host 2026 World Cup. North America has a late challenge from North Africa in the contest to host the 2026 World Cup. Morocco will also bid for the tournament, with its announcement coming on FIFA’s deadline day on Friday. Morocco’s last-minute move takes on the joint bid between the United States, Canada, and Mexico. Morocco formally launched its bid and sent relevant documents to FIFA, the Royal Moroccan Football Federation said in a brief two-sentence statement. It’s the North African kingdom’s fifth attempt at hosting the World Cup. The United States, Canada, and Mexico launched their joint bid in April and hoped to be awarded the World Cup unchallenged, with no other bids seemingly on the horizon. But FIFA decided to keep the contest open, and Morocco made the deadline — just. The 2026 World Cup is open to bids only from the Americas, Africa, and Oceania. Europe and Asia were ineligible because those continents will host the next two World Cups, in Russia in 2018 and in Qatar in 2022. The US-Canada-Mexico and Morocco bids are the only two for 2026, FIFA confirmed, and the world body could decide on the 2026 host as early as June 13 next year at its congress in Moscow on the eve of Russia’s World Cup. If neither bid meets FIFA’s requirements, the process could still be re-opened to other bidders ahead of a final decision in 2020, but that’s unlikely to happen. If successful, the U.S.-Canada-Mexico bid would return the World Cup to the United States for the first time since 1994, and would also make Mexico the first three-time host. Morocco aims to host the tournament 16 years after South Africa staged the first ever African World Cup, but is considered an outsider against the joint might of the North American project. Reinforcing the challenge of becoming only the second African nation to host a World Cup, and the first from North Africa, Morocco would also have to handle the largest World Cup ever in terms of teams. Soccer’s showpiece is set to be increased from 32 to 48 teams from 2026, putting added strain on infrastructure with more hotels and more training grounds needed, and more players and fans expected. Morocco’s bid may also be undermined by the fact that it backed out of its last major hosting duties, when it won the rights to but then declined to stage the 2015 African Cup of Nations at the last moment because of fears over the spread of the Ebola virus from West Africa. That decision put Morocco in conflict with the Confederation of African Football, but CAF is now under new leadership and president Ahmad of Madagascar has been supportive of the idea of Morocco bidding for the World Cup. CAF confirmed Morocco’s bid on its website later Friday and should Africa unite behind Morocco, it would give the country a significant amount of support. Africa has the second highest number of voting FIFA member countries behind Europe. Morocco has failed in four previous World Cup bids; in 1994 — when it lost to the U.S. — 1998, 2006, and 2010 — when it lost to South Africa. 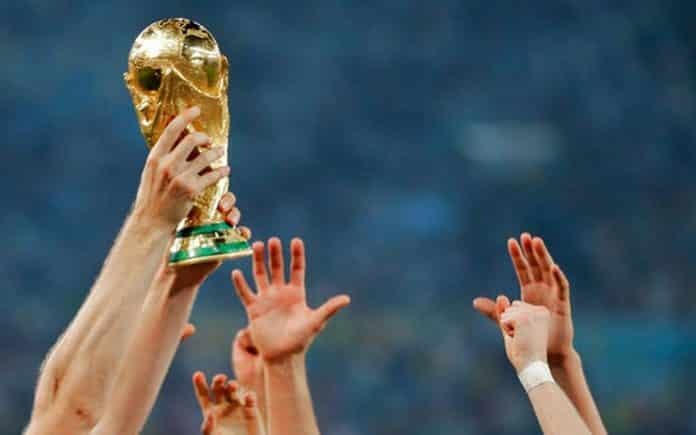 The race for 2026 will be FIFA’s first World Cup hosting contest since the world body’s corruption scandal of 2015, and also the first since the bribery-tainted 2010 votes to award the 2018 and 2022 World Cups to Russia and Qatar respectively. Morocco has also come under scrutiny and is accused of bribery in two of its previous World Cup bids, the ones for the ’98 and 2010 tournaments. A U.S. Department of Justice indictment alleged Moroccan officials twice bribed now disgraced FIFA executives with $1 million to vote for the country in those ultimately unsuccessful bids. Morocco denied the allegations. Morocco becoming a major export base.